Studies have shown that on average, over a 40-year period, asphalt pavements are more economical than concrete pavements. Attaining a quality roadway that is both smooth and long lasting does not start on the road, it starts at the plant. 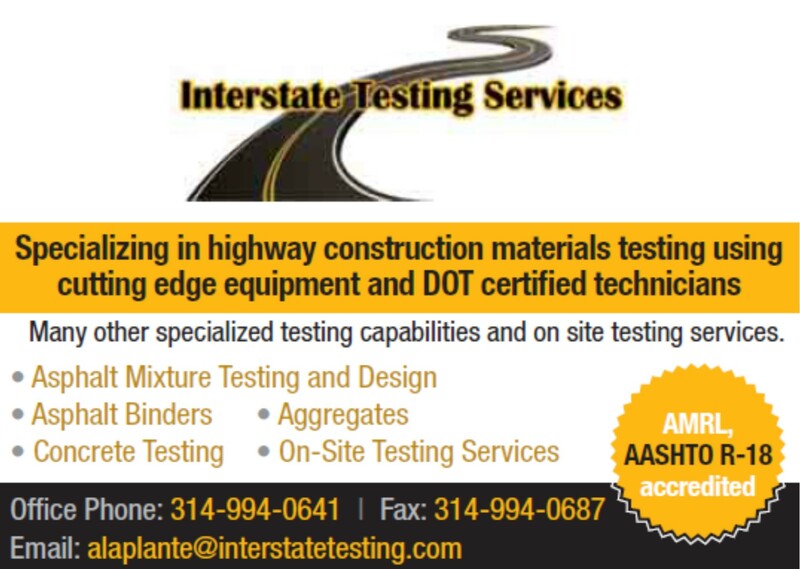 The production of asphalt requires quality materials, careful monitoring, and attentive placement practices. 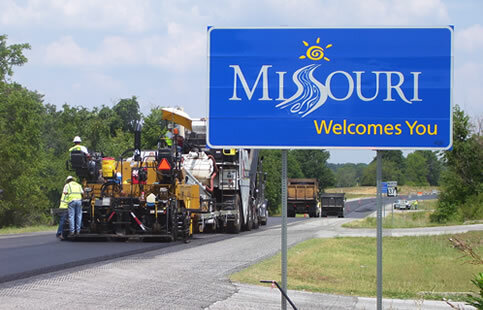 The first step in achieving a quality pavement is taking special care to make the highest caliber of mix. The aggregates utilized in asphalt are specified by a mix design. The mix design accounts for the needs on the road and combines oil and aggregates in a way that ensures the roadway will hold up under the conditions. Aggregates must be tested to determine their size and make up. Once this is accounted for, aggregates must be stockpiled appropriately. In order to maintain uniformity throughout the pile, stockpiles should be put up utilizing a stacker whenever possible. When stockpiling aggregates with the use of dump trucks, piles with multiple lifts or excessive height should be avoided. End loaders should be used to push up the piles while avoiding contamination from the ground beneath. Overall, stockpiles should be free of contamination, degradation, and segregation. Binder- Just as quality aggregates are needed, the binder used in asphalt should match the grade listed on the mix design. This should always be checked on the bill of lading prior to accepting loads of asphalt and the plant operator should be able to provide such documentation. Asphalt binder must be kept in storage tanks. When pulling from a particular tank, it must be properly heated and should be kept at a temperature of roughly 300 degrees. With quality aggregates and asphalt binder in place, production in the asphalt plant begins. 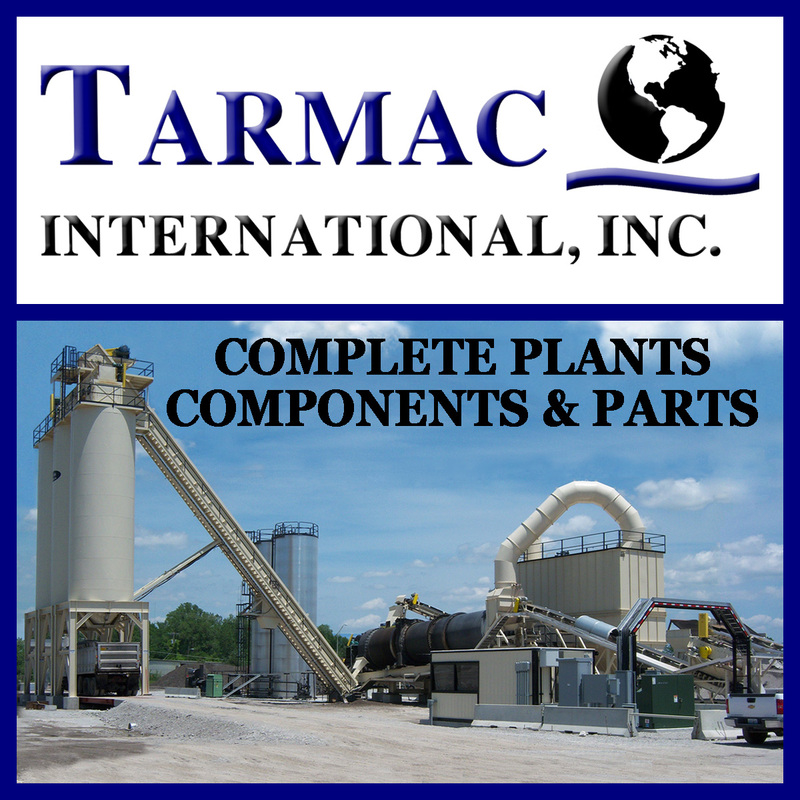 Producing asphalt consists of feeding aggregates through calibrated cold feed bins, heating and drying the proportioned aggregates, adding the hot asphalt binder, and mixing the products to achieve consistency throughout the mix. The entire asphalt plant must be calibrated to the specified mix design to ensure the appropriate amounts of aggregate and oil. There are multiple variables that can affect the quality of the mix including the dryer, burner, bag house, weigh belts, bins, recycle feeds, and computer equipment. Throughout the process the variables must be closely monitored to ensure the correct temperature, proper amounts of material, and adequate mixing. One of the most important issues to watch for in plant production is segregation. Segregation means coarser aggregates have separated from the fines in the mix and are not evenly distributed. This usually occurs in one of several locations. The first place segregation can occur is at the discharge chute on the dryer. If the material leaving the dryer is not dumping at the center of the discharge chute, the coarser particles will separate. This is typically detectable by visual inspection of the mix as it travels up the hot elevator. The second place segregation may occur is in the batch hopper above the silo. If the gates do not function properly in the batch hopper they may allow mix to dribble through the gates and down into the bottom of the silo. It is generally the smaller material that makes its way through the gates and may create a cone of irregular mix in the bottom of the silo. If mix is segregated in the silo, it will be segregated when it is dumped into the truck. The third place segregation can take place is in the silo when insufficient amounts of mix are in the silo. Most silos have a low bin indicator light and silos should not dip below this level. When operators continually run below that level and load trucks out of the bottom of the silo, mix cones at the bottom and results in segregation. The last factor in preventing segregation involves the truck. It is essential to move the truck beneath the silo so not all the mix dumps in one spot. When the truck remains in one spot under the silo, excessive coning of the asphalt occurs which causes segregation. The truck should move between dumps to prevent this. Segregation ultimately has a negative impact on performance of the mix. All steps should be taken to ensure the mix leaving the asphalt plant has the appropriate proportions of material and oil, is at the appropriate temperature, is evenly mixed, and is not segregated. A quality mix leaving the plant is essential to a quality roadway. Transporting: Once the mix is in the trucks, it is transported to the jobsite. It is important the truck have a clean box free from deleterious material, tarp loads when temperatures necessitate, and make a timely arrival on the job site. should not be raised frequently as this shifts the weight distribution of the paver and causes the screed to lift slightly resulting in unnecessary bumps in the mat. Screed vibrators should be in use whenever mix is being placed as this helps achieve desired compaction. In doing these simple things, the quality of the mat increases as does the quality of the finished product. Once a uniform mat is placed behind the paver, one of the most difficult tasks in asphalt paving takes place. Rolling for proper compaction is one of the most important factors in the lifetime performance of an asphalt roadway. Proper density must be achieved to create not only a uniform surface, but ensure the lifetime performance of the mix. As asphalt mixes integrate more RAP, RAS, and other recycled materials, and are designed to last indefinitely, the components of the mix change the rolling practices. High crushed contents combined with more viscous binder means there is little room for error when rolling. Contractors must be aware of and implement best practices when it comes to rolling for density. The better the compaction, the better the resistance of the wear course. 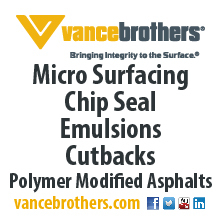 The compactability of asphalt is determined by the aggregates and the viscosity of the binder. Mixes designed for high traffic loads and counts are stiffer mixes which requires a greater compaction effort. As a general rule, compaction should be started almost immediately after it is placed. When rollers hit the asphalt too soon and the mix is too hot, the binder ends up supporting the roller and acting as a lubricant. This means the particles are not compacting as they should rather are sliding across each other. When rolling starts too late and the mix has cooled past optimum rolling temperature, binder stiffens and particles are increasingly difficult to move at all in turn increasing the compaction effort. With traditional asphalt, temperatures are roughly 212-280 degrees Fahrenheit or between 100-140 degrees Celsius, allow for optimum compactions. Compacting when the mix is either cooler or hotter than these temps will hinder compaction efforts. Compaction should be completed by the time the mix temperature has dropped to below 175 degrees Fahrenheit or between 80-100 degrees Celsius. Compaction speeds are as important at compaction temperatures. For initial breakdown rolling, the roller should not move at a speed greater than 1.8-3 miles per hour. Rubber tire rollers should move at speeds between 5-7 miles per hour. The number of passes required by the roller must be determined prior to starting the project. The mix design or makeup has a considerable effect on the number of required passes. The stiffer the mix figured with the frequency of the roller and the width drum/pass ratio will determine the required number of passes. The tire pressure of the rubber tire rollers should be checked daily. If you notice one or two tires picking up, tire pressure is incorrect in those tires. Interested in advertising with us? Call us at 573-635-6071 for more information.